One of the most exciting applications of Social Media data is the automated identification, evaluation and prediction of trends. I already sketched some ideas in this blog post. 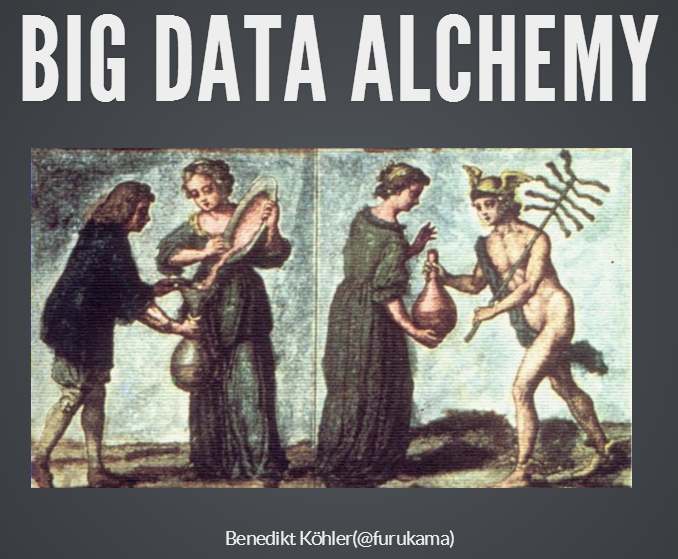 Last year – and this was one of my personal highlights – I had the opportunity to speak at the PyData 2014 Berlin on the topic of Street Fighting Trend Research. In my talk I presented some more general thoughts on trend research (or “coolhunting” as it is called nowadays) on the Internet. But at the core were three examples on how to identify research trends from the web (see this blogpost), how to mine conference proposals (see this analysis of Strata abstracts) and how to identify trending locations on Foursquare (see here). 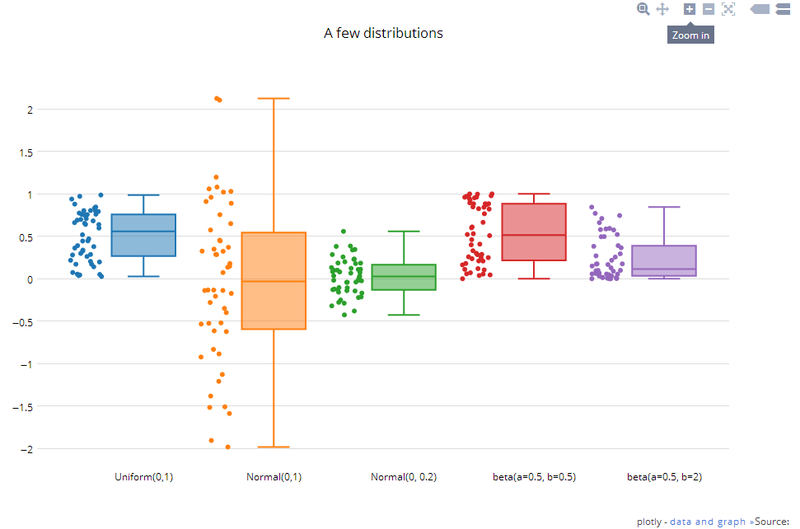 All three examples are also available as IPython Notebooks on my Github page. And here’s the recorded version of the talk. The PyData conference was one of the best conferences I attended. 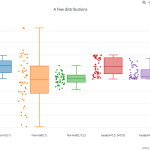 Not only were the topics very diverse – ranging from GPU optimization to the representation of women in the PyData community – but also the people attending the conference were coming from different backgrounds: lawyers, engineers, physicists, computer scientists (of course) or statisticians. But still, with every talk and every conversation in the hallways, you could feel the wild euphoria connecting us all with the programming language and the incredible curiosity. One thing that’s particularly great about the Internet is the Sharing Economy. So much information, know-how, content is given out for free on a daily basis. Here’s three fascinating unpublished books that you can take a look at right now. And to make them even greater, you can always give the authors your feedback, bugs you’ve discovered or just a big thank you! The first book from O’Reilly’s Early Release series is “Mastering Bitcoin” by Andreas Antonopoulos. If you want to learn more about how the new crypto-currency works or if you want to imagine how this concept will change the world or just understand how you can use the Bitcoin APIs to build your own tools, this is the place to start. I hope this book will give me lots of inspiration about analyzing and visualizing the Blockchain (see this blogpost). “Deep Learning” is the somewhat humble title of the second book. This work by Yoshua Bengio, Ian J. Goodfellow and Aaron Courville (University of Montréal) on the theory and practice of neural networks a.k.a. deep learning could someday become a standard introduction. On their webpage, you can download and read the book chapter by chapter – but as this is work in progress, there could be quite a lot of updates in the future. So grab it while it is still fresh. 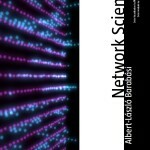 The third one is already a classic and very well received by the peer group: “Network Science” by Albert-László Barabási. This book explains the science of networks and social network analysis from the beginning (history- and concept-wise) right to the 21. century. 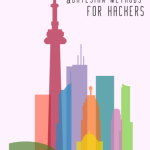 From finding and identifying Terrorists to analyzing and optimizing organizational structure – this book abounds with colorful examples and real applications. 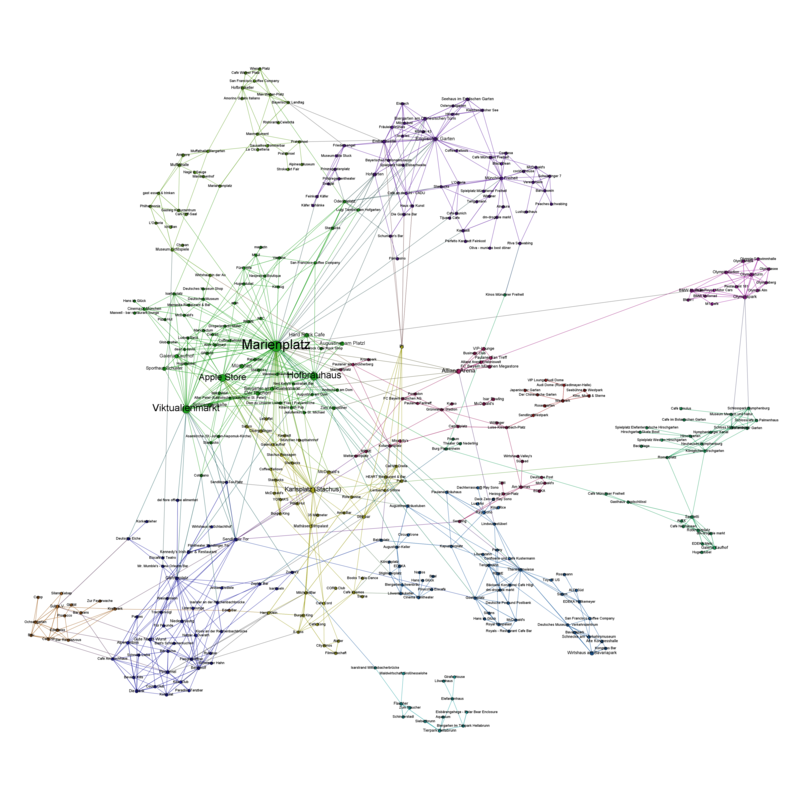 Everyone who has been thinking “Yeah, network visualizations look pretty nice, but what’s the real use-case besides that?” should definitely take a look at this work. The best thing: it will stay free because it’s published under a Creative Commons license. Thanks, László! The crypto-currency Bitcoin and the way it generates “trustless trust” is one of the hottest topics when it comes to technological innovations right now. The way Bitcoin transactions always backtrace the whole transaction list since the first discovered block (the Genesis block) does not only work for finance. The first startups such as Blockstream already work on ways how to use this mechanism of “trustless trust” (i.e. you can trust the system without having to trust the participants) on related fields such as corporate equity. 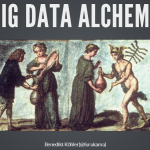 So you could guess that Bitcoin and especially its components the Blockchain and various Sidechains should also be among the most exciting fields for data science and visualization. 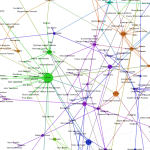 For the first time, the network of financial transactions many sociologists such as Georg Simmel theorized about becomes visible. 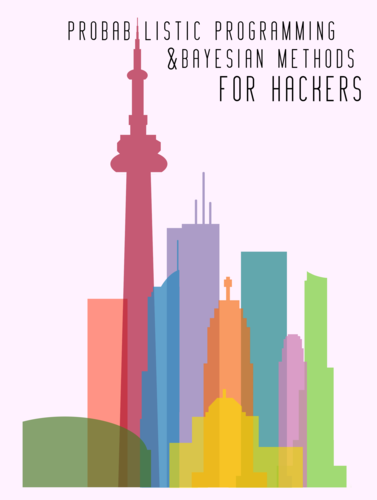 Although there are already a lot of technical papers and even some books on the topic, there isn’t much material that allows for a more hands-on approach, especially on how to generate and visualize the transaction networks. 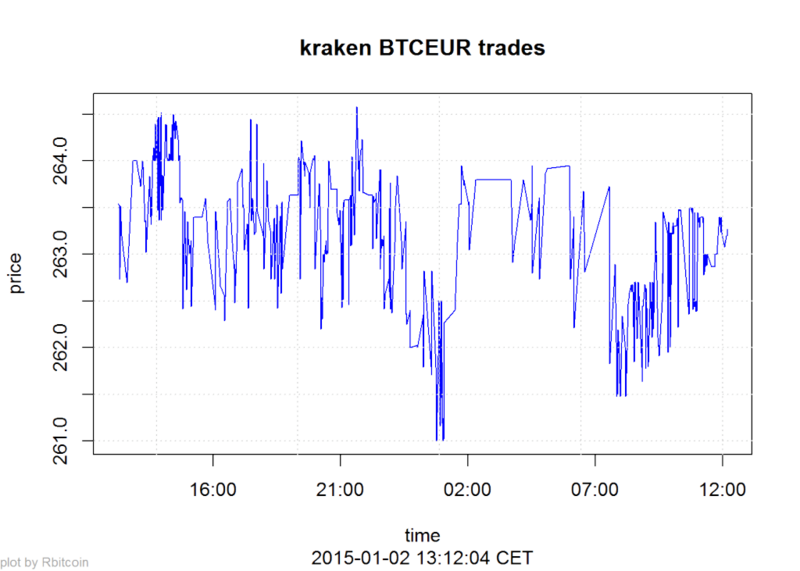 The paper on “Bitcoin Transaction Graph Analysis” by Fleder, Kester and Pillai is especially recommended. 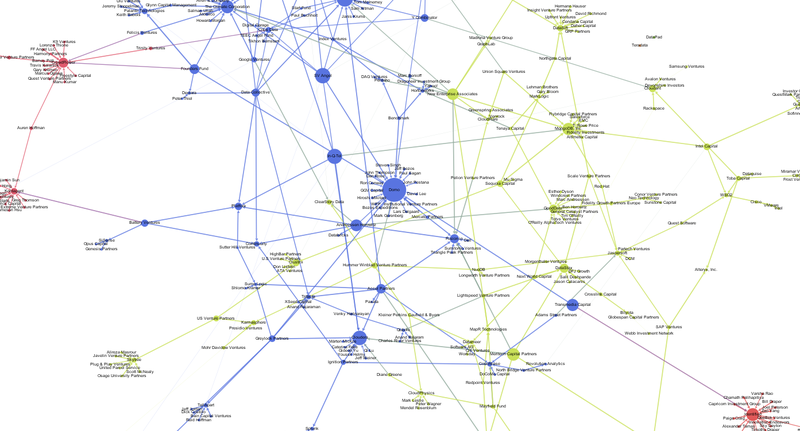 It traces the FBI seizure of $28.5M in Bitcoin through a network analysis. So to get you started with R and the Blockchain, here’s a few lines of code. I used the package “Rbitcoin” by Jan Gorecki. ## You are currently using Rbitcoin 0.9.2, be aware of the changes coming in the next releases (0.9.3 - github, 0.9.4 - cran). Do not auto update Rbitcoin to 0.9.3 (or later) without testing. For details see github.com/jangorecki/Rbitcoin. This message will be removed in 0.9.5 (or later). The function antiddos makes sure that you’re not overusing the Bitcoin API. A reasonable query interval should be one query every 10s. V(btc.net)$color[unlist(V(btc.net)$name) == seed] <- "red"
Memes – images, jokes, content snippets that get spread virally on the net – have been a popular topic in the Net’s pop culture for some time. A year ago, we started thinking about, how we could operationalise the Meme-concept and detect memetic content. Thus we started the Human Meme Project (the name an innuendo on mixing culture and genetics). We collected all available links to images that had been posted on social networks together with the meta data that would go with these posts, like date and time, language, count of followers, etc. With referers to some 100 million images, we could then look into the interesting question: how would “the real memes” get propagated and could we see differences in certain types of images regarding their pattern of propagation. Soon we detected several distinct pathes of content being spread. And after having done this for a while, these propagation patterns could tell us often more facts about an image than we could have extracted of the caption or the post’s text. 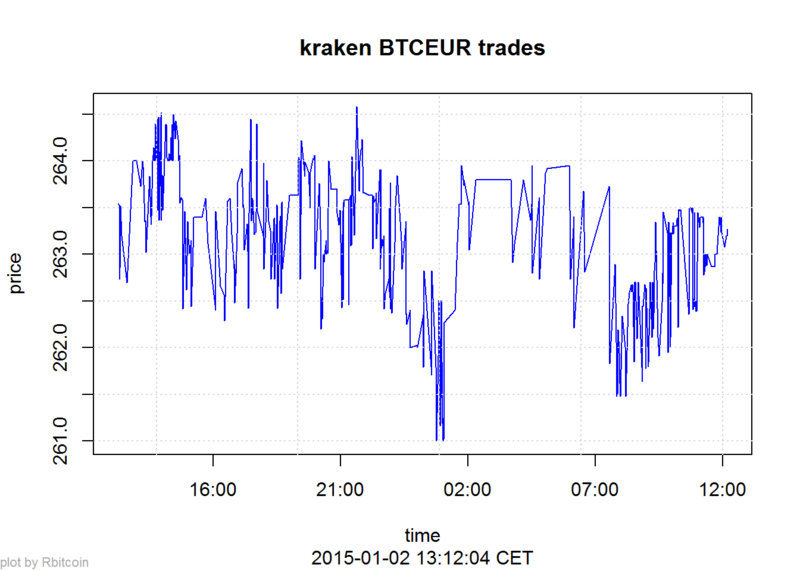 Of course this kind of analysis is not limited to pictorial content. A good example how the insights of propagation analyses can be used is shown in sciencenews.org. Astroturfing or Twitter-bombing – flooding discussions with messages that would seam to be angry and very critical towards some candidate or some position, and would look like authentic rage at first sight, although in reality it would be machine generated Spam – could pose a thread to political discussion in social networks and even harm democratic elections. This new type of “Black PR”, however can be detected by analysing the propagation pattern. Two examples of how memetic images are shared within communities. The vertices represent the shared images, edges connect images posted by the same user. The left graph results of a set of images that get propagated with almost equal probability in the supporting community, the right graph shows an image that made its path into two disjoint communities before getting further spread. After the first wave of uprising in Northern Africa, the remaining regimes became more cautious and installed many kinds of surveillance and filter technologies on the Net. To avoid the governmental crawlers, insurgents started to write their pamphletes by hand in some calligraphic type that no OCR would decipher. These handwritten notes would get photographed and then posted on the social web with some insuspicous text. But what might have tricked out spooks in the good old times, would not deceive the data scientist. These calls for protests, although artfully disguised, leave a distinct trace on their way through Facebook, Twitter and the like. It is not our intention to deliver our findings to the tyrants to close their gap in surveillance. We are in fact convinced that similar approaces are already in place in many authoritarian regimes (and maybe some democracies as well). Thus we think the fact should be as widespread and recognised as possible. Both examples show again, that just looking at the containers and their dynamic can be as fruitful to tell about their content, than a direct approach. While preparing and arranging today’s meal – Penne al Forno con Polpettine – to be documented and posted on Instagram, I thought: Why not preparing and arranging a pasta network with the help of the Instagram API and the Gephi network visualization software. I did this before for many other things such as Chinese cities or spring. The special Instagram magic lies in the hashtags users are posting to their (and their friends’) images. 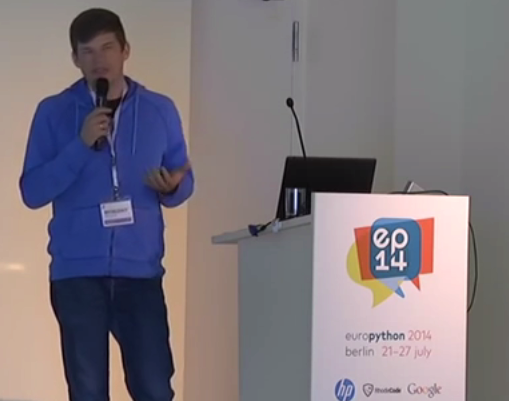 These hashtags can be used to create social network datasets out of the image streams of the API. If someone is posting an image of their pasta dish and is tagging it with “#salmon”, then this tag is the link to all other images also tagged with “#salmon”. Theoretically one could do the next search for salmon and find out which images are referred to by this hashtag. This would produce a large map of human concepts plus their visualization in photographs. I also created a version with all the images in the network as thumbnail, so you can see the different qualities in the image (brightness, colours, composition, filters etc.) Right now I am working an a way to automatically assemble and publish image based networks that would properly embed the images. There’s dinner pasta (upper left) and lunch pasta (upper right). Lunch pasta tends to be more colorful and bright, while dinner pasta can be very dim arrangements on restaurant tables or unboxed pizza and pasta deliveries. Another interesting category is tagged with “distasters”. This hashtags clearly corresponds to the images. The most important hashtags are: pasta, food, chicken, foodporn, delicious, italian, cooking, yummy, foodgasm, foodie. Filters are very frequently used in pasta photography: only 22% of all images are posted without any filters. 4 out of 5 are photographed by Japanese IGers. So the next thing to look at will be the regional distribution of food hashtags. To be continued. The days are getting longer, the first flowers come into bloom and a very specific set of hashtags are spreading through Social Media platforms – it’s spring again! In this blogpost I took a look at spring-related pictures on Instagram. Right now, the use of hashtags on Instagram has not entered the mainstream. 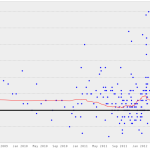 For this analysis, I took a look at the latest 938 images tagged with “#spring”. 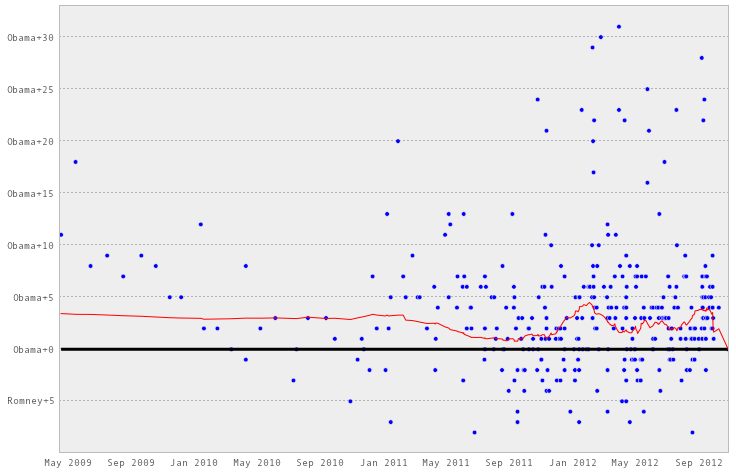 The average rate was 12 spring-tagged pictures a day, but this rate will be increasing during the next days and weeks. 1) Data collection: I collected the twitter data with the open source application YourTwapperKeeper. This is the DIY version of the TwapperKeeper platform that had been very popular in the scientific community. Unfortunately after the acquisition by HootSuite it is no longer available to the general public, but John O’Brien has made the scripts available via his githup. I am running yTK on a Amazon EC2 instance. 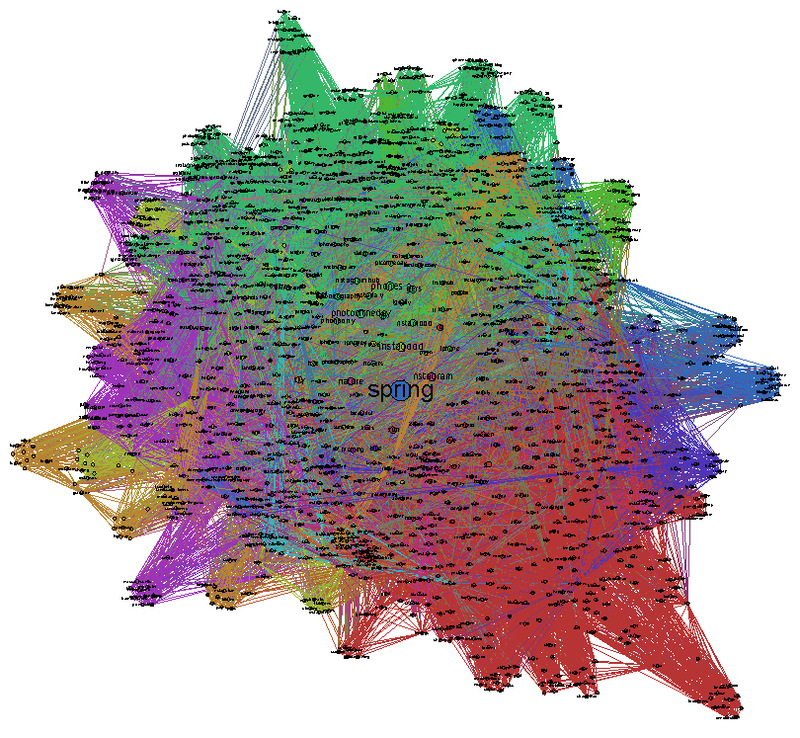 What it does is connecting to the Twitter Streaming API and fetching all tweets with “#strataconf” in realtime and additionally doing regular searches via the Search API to find tweets that had been overlooked by the Streaming API. This is almost the whole code for processing the network data. 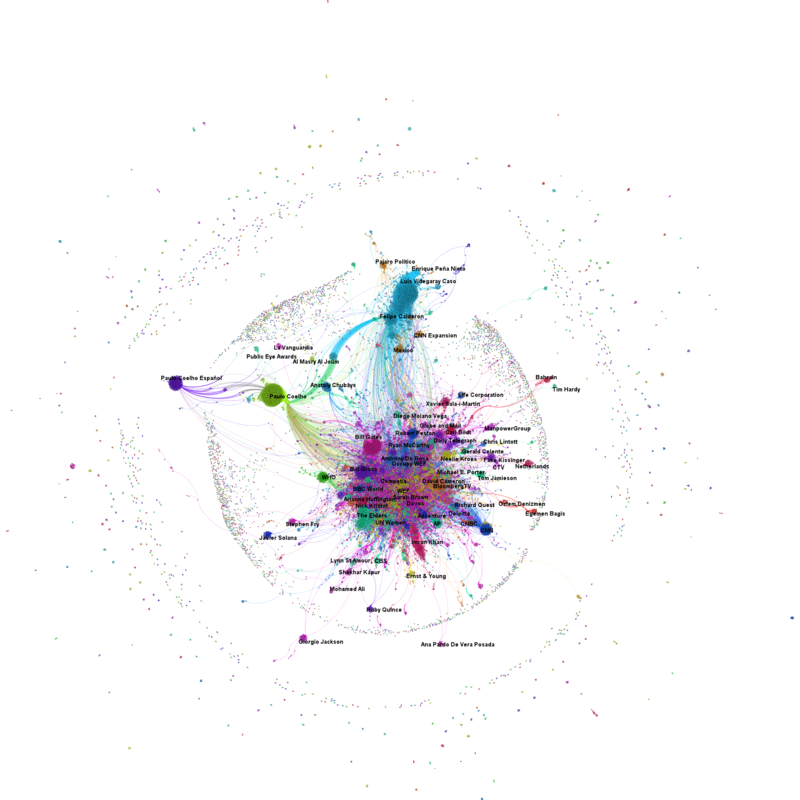 3) Visualization: The visualization of the graph is done with the wonderful cross-platform tool Gephi. 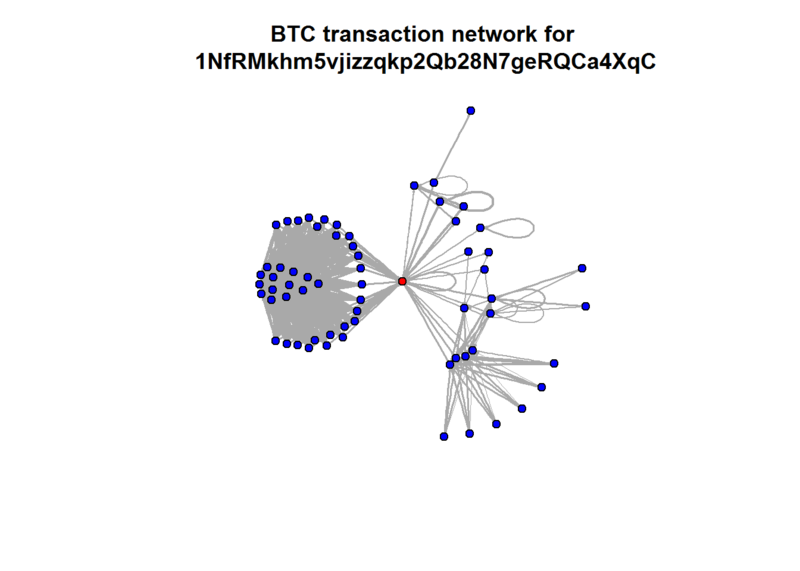 To generate the graph above, I reduced the network to all nodes that have at least one other node referring to it. 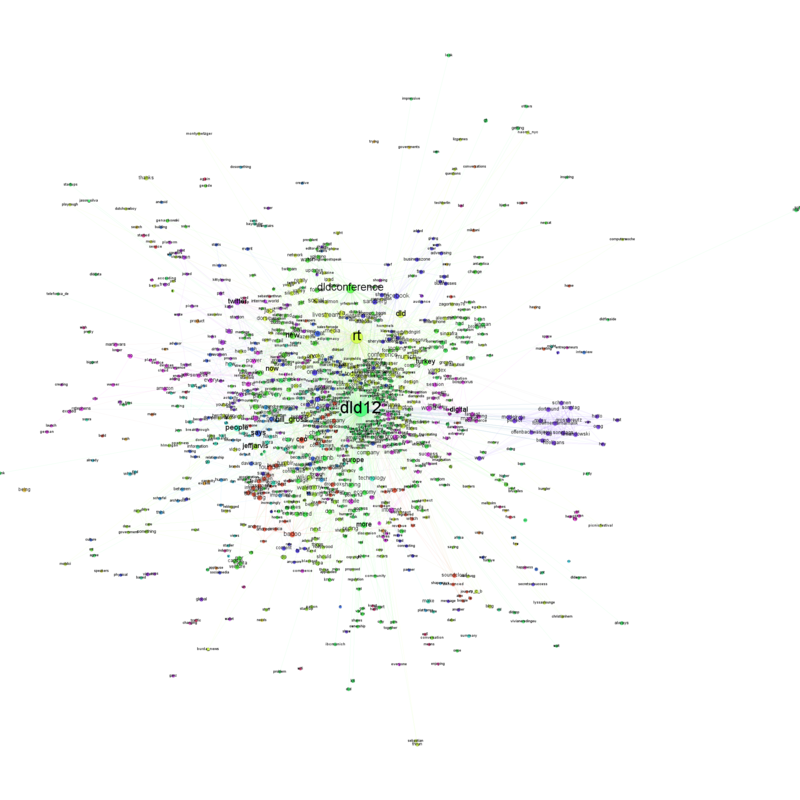 Then I sized the nodes according to their total number of degrees, that is how often they were mentioned in other people’s tweets or how often they were mentioning other users. 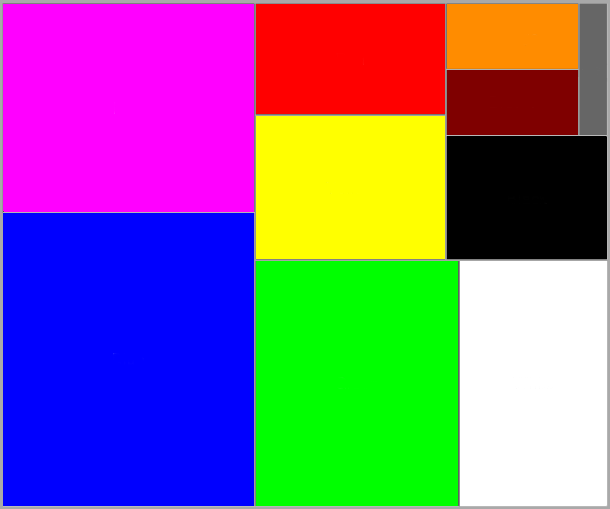 The color is determined by the modularity clustering algorithm. 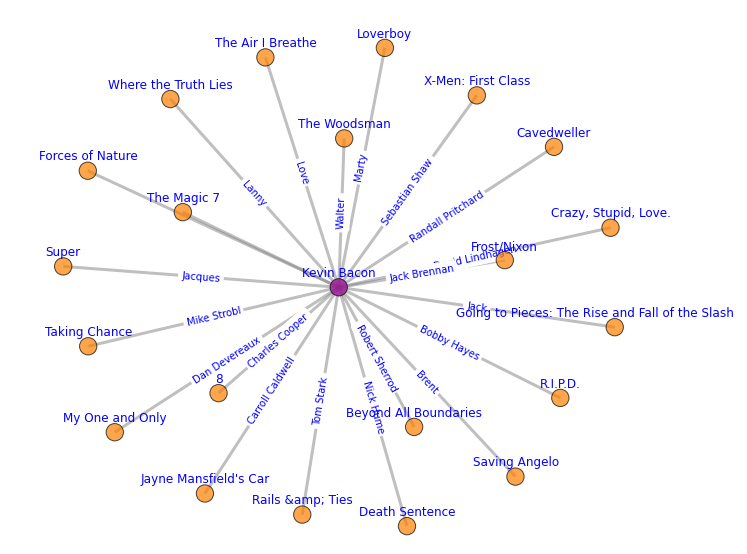 Then I used the Force Atlas layout algorithm and voilà – here’s the network map. 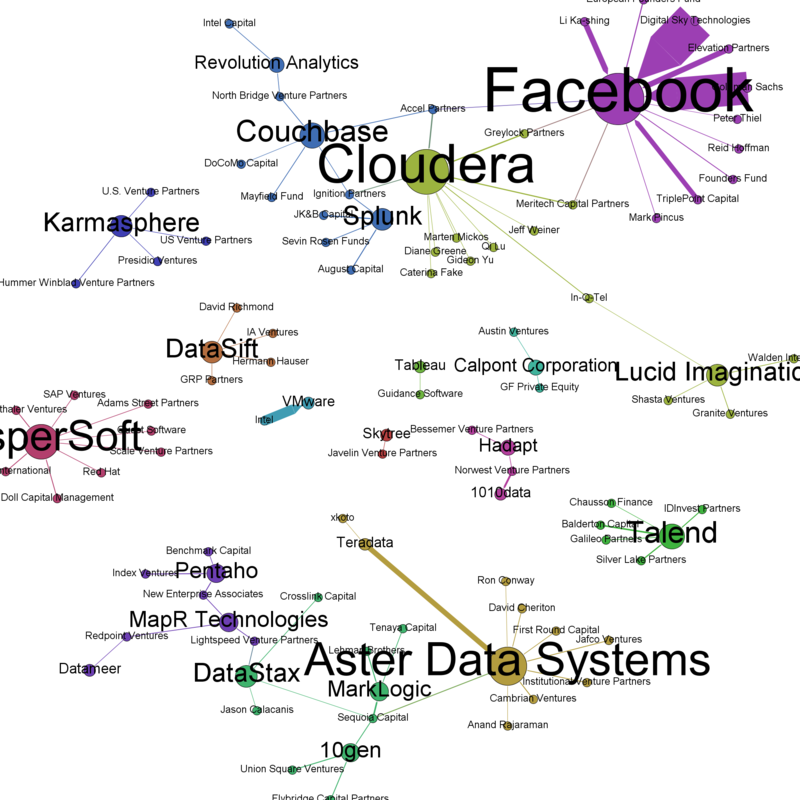 While getting ready for the Strata Conference in Santa Clara, I prepared a network map showing the most important companies represented at the conference and their connections via venture capital or investment firms (click to enlarge). See you at the conference! The minute, the World Economic Forum at Davos said farewell to about 2,500 participants from almost 100 countries, our network analytical machines switched into production mode. 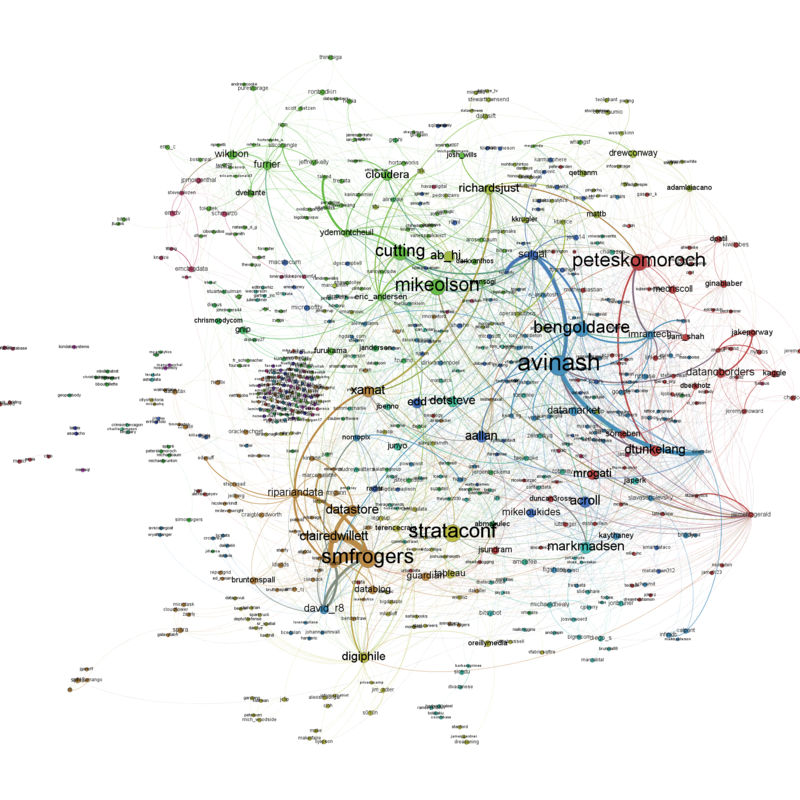 Here’s the first result: a network map of the Twitter conversations related to the hashtags “#WEF” and “#Davos”. While there are only 2,500 participants, there are almost 36,000 unique Twitter accounts in this global conversation about the World Economic Forum. Its digital footprint is larger than the actual event (click on map to enlarge). There are three different elements to note in this visualization: the dots are Twitter accounts. 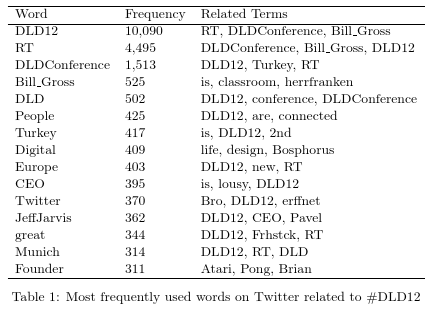 As soon as somebody used one of the two Davosian hashtags, he became part of our data set. 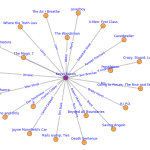 The size of the notes relates to its influence within the network – the betweenness centrality. 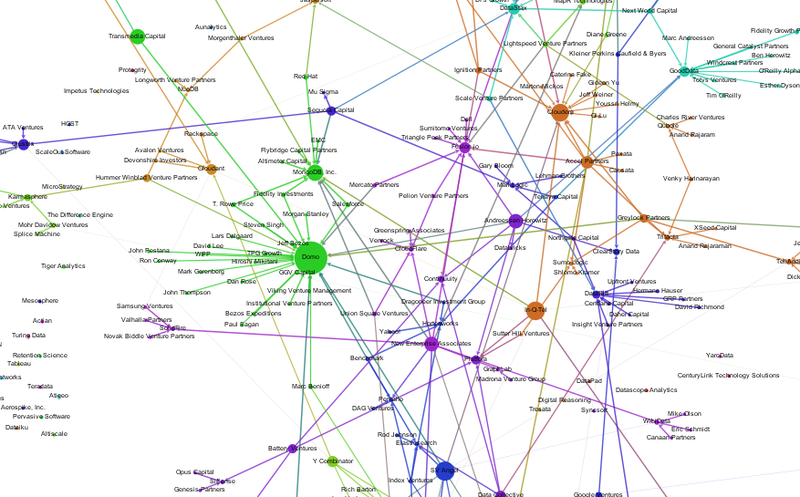 The better nodes are connecting other nodes, the more influential they are and the larger they are drawn. The lines are mentions or retweets between two or more Twitter accounts. 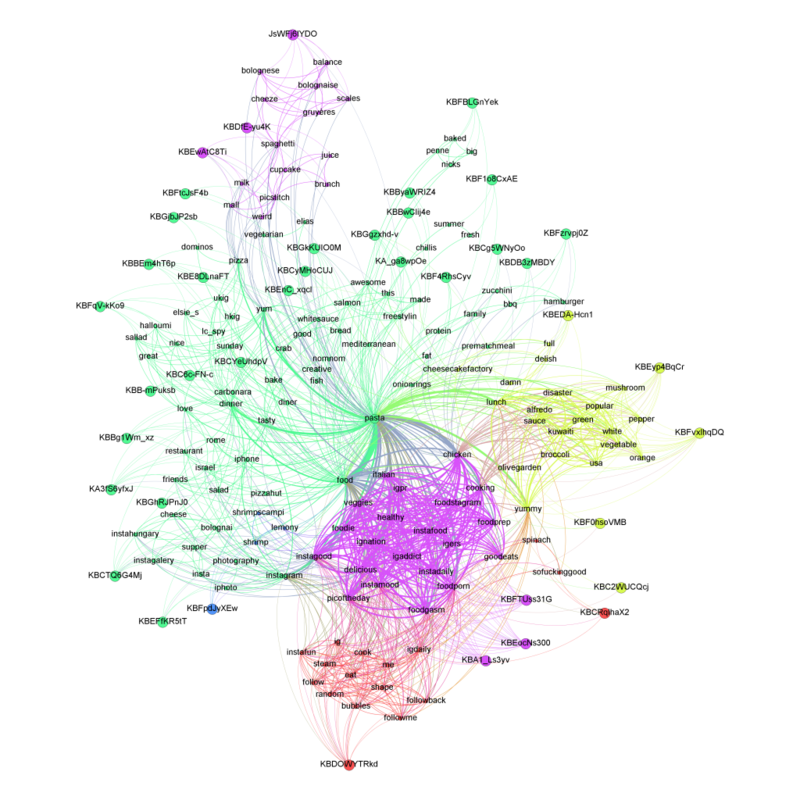 And finally, the color refers to the subnetworks or clusters generated by replying or retweeting some users more often than others. In this infographic, I have labelled the clusters with the name of the node that is in the center of this cluster.